Webinar: July 15, 2015 at 1:00 PM EST. 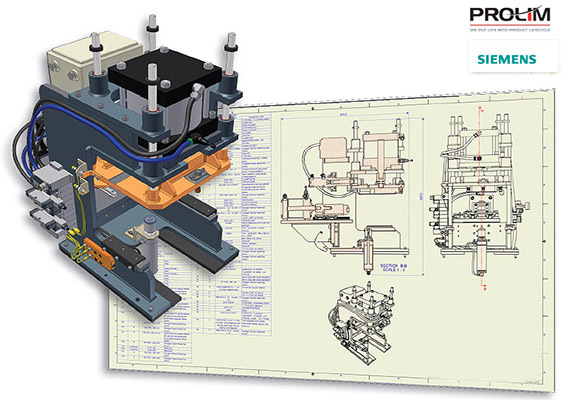 FARMINGTON HILLS, MI., June 29, 2015 — PROLIM is proud to host a webinar on “Take Control of Autodesk Engineering Data & Processes” on July 15, 2015 at 1:00PM (EST) featuring the latest digital lifecycle management system, with preconfigured PDM deployment. The webinar will focus on PLM for Autodesk engineering users to enhance efficient product design and schedule targets. Manages data and processes regardless of CAD system used. Supports regulatory requirements with complete audit & history reports. Optimizes workflows to using your business logic. Eliminates bottlenecks and gets your products to market faster than ever before. Join the live and interactive webinar on July 15, 2015 and See for yourself how to empower your design team to spend their time working on design – not on searching for files. Enable seamless communication, collaboration, and sharing of data among teams and suppliers regardless of CAD system used. Increase productivity, accelerate development, improve flexibility, and reduce costs. If your PDM isn’t working for you in all these ways, it’s simply not working. This webinar will cover real-world examples of businesses that use PDM for significant savings and time-to-market improvements. As a bonus, find out about rapid, easy PDM implementation strategies, including cloud-based solutions. It really never has been easier than now to take control of your data and processes.